Why choose Custom Glass Atlanta? Integrity, knowledge and excellent service – these aren’t just words, they represent how Custom Glass Atlanta does business. Whatever your needs, you can trust us to offer high quality products and service. A variety of services – Custom Glass Atlanta can help you improve your home’s functionality and aesthetic. We install shelving, shower doors, mirrors, bath hardware, door hardware and blinds and shutters. Whether you need a closet shelving system or new shower door and bathroom hardware, Custom Glass Atlanta is the company to call. We provide home specialty installation services throughout Morrow, Atlanta and the surrounding areas throughout Georgia. Custom Glass Atlanta installs quality shelving and storage solutions. Custom Glass Atlanta offers bath hardware for every taste and style. 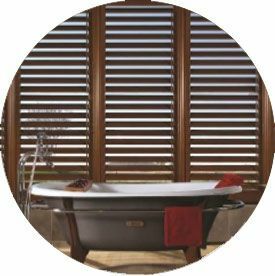 We install beautiful window blinds and plantation shutters. Welcome to Custom Glass Atlanta, your source for shower doors, mirrors, shelving and other products for the home. Builders, contractors and homeowners throughout Georgia depend on us for a variety of products and we are proud to serve them.